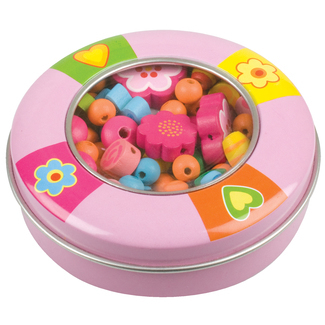 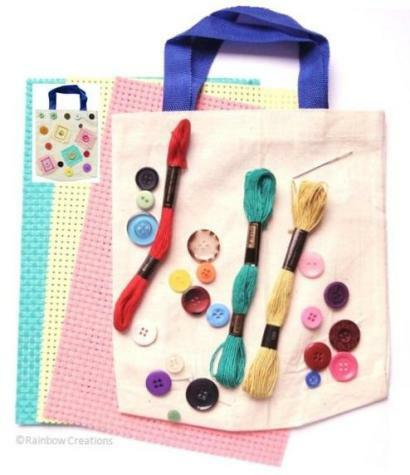 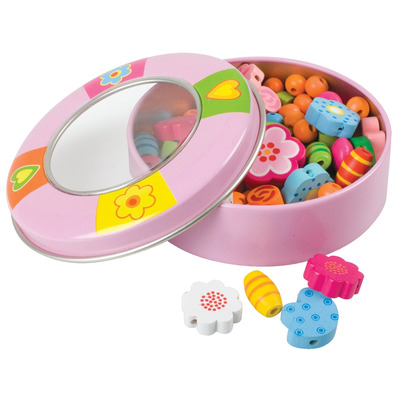 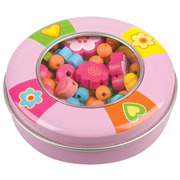 Children's jewellery making bead set presented in a little tin which contains assorted wooden beads and elastic to thread with. 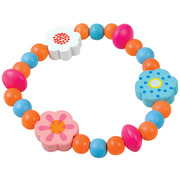 The beads are mixed colours and shapes and there are sufficient to make both a necklace and bracelet. 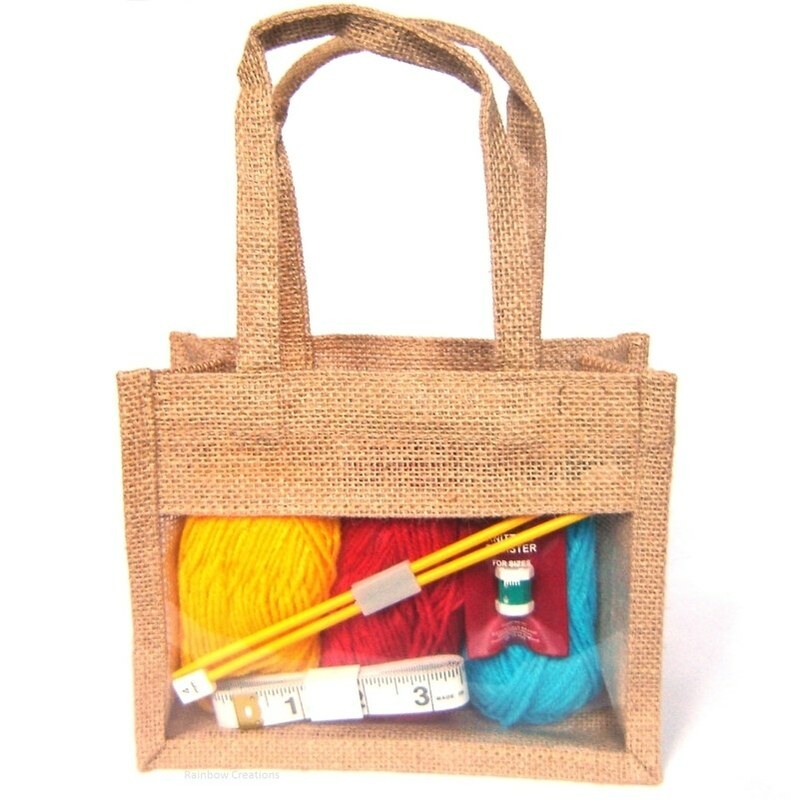 Ideal for a stocking filler.